Land and marine Unexploded Ordnance (UXO) specialists, Fellows International, have attained Gold Membership status with ConstructionLine – the UK’s largest construction pre-qualification database and leading procurement and supply chain management service. Current membership is under work categories Land Surveys (Contaminated) and Risk Management Consultants. ConstructionLine is used by large construction and development companies to pre-qualify potential sub-contractors and check suitability for a project. There are over 8,000 procurement professionals and 2,500 buying organisations that use the ConstructionLine database to source their contractors and consultants, making it a fantastic aid to assist Fellows in gaining new work opportunities. For Fellows, the membership demonstrates a high level of corporate responsibility, safety policies and staff welfare. Being accredited by ConstructionLine also means that there is greater efficiency as there is no longer a need to duplicate standard company information for each construction tender. More information about ConstructionLine can be found at www.constructionline.co.uk. If you have any queries in regard to UXO risk on your site, please email info@fellowsint.com. 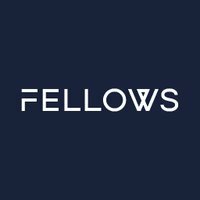 The Fellows team would be happy to help.